Why wear safety footwear when my flip flops are so comfortable? One does not have to look far to see drivers of commercial vehicles wearing casual shoes or even flips flops. 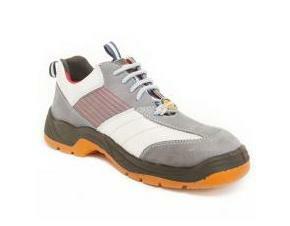 They are hard to pass up considering how much more comfortable they are over steel toed shoes. Casual footwear is often easy to get away with as drivers spend so much of their time in the cab which, when compared to the yard, holds fewer hazards for feet. However, once a driver gets out of the cab, they are exposed to pallets, product, tools and other heavy objects which can cause injury if dropped. Let’s not forget about the third leading factor of injuries in the industry, slips and trips, for which flip flops were not designed. The issue is when drivers get out of their cab and onto truck yards, loading bays and refueling stations. These type of sites open the door for hazards to an employees’ well being. 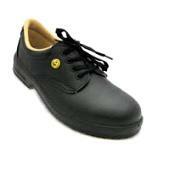 Safety Footwear is designed with a protective toe cap to protect an employee’s foot if something happens to fall on it. There is no way a comfortable pair of sneakers or flip flops could match the same level of protection. This is because protective footwear must meet standards to ensure their effectiveness. 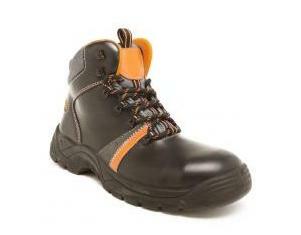 All drivers should get in the habit of putting those protective shoes on every time they visit a work site. It could be a truck yard, loading bay, refueling station or any other work related site.